Your seductive Bordeaux blend from a 100-Parker Point "Garagiste" (that's a Bordeaux winemaker who works on very small volumes, often single vineyards). Jonathan's vines produce highly concentrated, small berries...so every drop is full of drool-worthy flavors like black cherries and rich dark chocolate. 2016's harvest was "ideal" according to your winemaker - it's his favorite vintage since 2010! Jonathan's the Garagiste behind brands like Le Dôme that cost upwards of $200 a bottle. 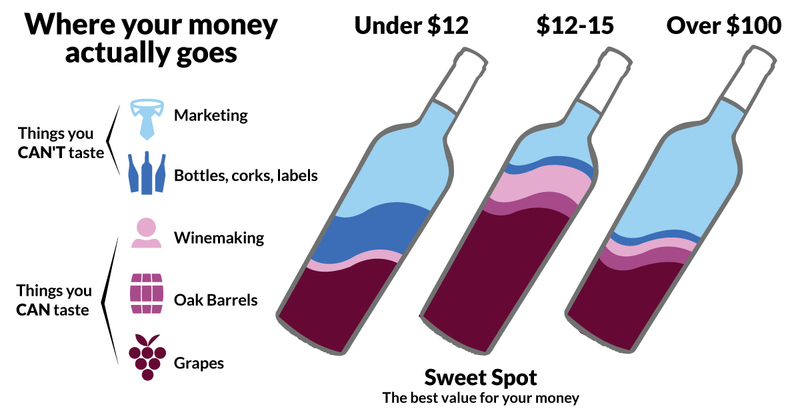 Angel funding lets him create your exclusive small-production wine, absolutely saturated with flavor... for less than $18 a bottle.